The major objective of this report is to analysis Consumer Credit Scheme on Prime Bank Limited. General objectives of this reports are to give an overview on Prime Bank and its services, to detail the Consumer Credit Scheme (CCS) of PBL and its Consumer Credit Operation System. Here also comparative analysis on CCS of PBL and those other private banks and finding out the shortcomings of the Bank in its CCS operations and providing some Recommendation. Finally this report make swot analysis Consumer Credit Scheme on Prime Bank Limited. Banks are providing various schemes for clients. Consumers Credit Scheme (CCS) is one of them. Consumers Credit Scheme(CCS) of Prime Bank Limited is gaining more and more popularity which is functioning from the very inception of the bank. Prime Bank Limited is one of the leading banks who are offering Consumers Credit Scheme (CCS) for the people. It is very helpful to people specially for middle class people and lower middle class people. Under this scheme people can take loan to buy household goods. By installment basis they can repay the loan. As total loan amount is repaid on installment basis it puts less pressure on consumer. Under Consumers Credit Scheme (CCS) people can take loan from banks and can buy their necessary goods. For limited income group Consumers Credit Scheme (CCS) is very helpful. Prime Bank Limited wants sustainable growth and continues to meet social obligations. Day by day the number of consumers in Prime Bank limited increases which indicates potentiality of the scheme. Consumers Credit Scheme (CCS) is very helpful to limited income group. Prime Bank Limited wants sustainable growth and continues to meet social obligations. For this they introduce Consumers Credit Scheme (CCS).Prime Bank Limited started Consumers Credit Scheme (CCS) since its inception in the year 1995. Day by day the number of consumers in Prime Bank limited increases which indicate popularity and potentiality of the scheme. It becomes very popular to people especially to limited income group. It has been possible to reach this height of the market image and reputation of the bank because of this CCS. This covers wide range of people belonging to fixed income group. To participate in the socio-economic development of the country. Consumer or personal credit is comprised of advances made to individuals to enable them to meet expenses or to purchase, on a deferred- payment basis, goods or services for personal consumption. Such credit may be used not only to obtain consumer goods or services but to refinance debts which originated when such purchases were made. Consumer credit includes all credit granted for these purposes, whether it is extended by various financial, institutions, retail merchants, manufacturers, or by other service organizations. This definition does not include mortgage credit on real estate or other types of investment credit which may be retired by regular investment payments. Self employed persons who have regular and monthly fixed income with repayment capacity. Non-officers are also considerable on case to case basis to get CCS loan. Loan amount is different for different people. Loan is given for 80% of the given quotation. Amount of credit shall be allowed keeping in view the repayment capability of the customer. The amount of credit shall be determined in such a manner that monthly installment does not exceed 50% of the disposable income (take home salary/ income) of the customer. The monthly installment size will not exceed one third of the take home salary for non- officers only so as to enable the customer to repay the loan easily. Installment size also depends on the loan amount of concerned consumer. After repayment of 75% of the credit allowed to a customer, he/she will be eligible for fresh credit under the scheme but the total amount of credit shall not exceed the ceiling under any circumstances. Simple interest rate is 16% and service charge is 1%. Apart from these, there is risk fund on total amount of loan at the time of disbursement of loan. Though simple interest rate is 16% effective interest rate is lower than this. As installment is paid interest rate reduces because interest is charged on the residual amount. So, higher interest rate is charged at initial stage and lower interest rate at later stage. Service Charge 1% of Loan amount 16% P.A. Service charge, risk fund and stamp charges have to be paid at the time of disbursement of loan. Monthly installment has to be paid within 7th day of each month. All branches transfer their entire outstanding balance in risk fund on regular basis to Financial Administration Division, Head Office at the end of every month through IBCA along with a statement as per existing practice. If there is any license fee, registration fee, insurance charge etc. then customer will bear those. Customer will bear the expenses for necessary repair and maintenance of the articles during the period of loan. The articles shall remain in sole control and custody of the customer who will not let out, lend, resell or transfer the possession or rights of the same to a third party under any circumstances. Repayment will start from the following month of the disbursement of loan. Repayment of loans including accrued interest will be made by equal monthly installments. Before disbursement of loan, the customer will deposit crossed cheque covering the total number of monthly installments in favor of the bank which will have to be presented for collection on the due dates. Installments will be paid within 7th day of each month. Default in payment of 3(Three) consecutive installments shall render the client liable to handover the articles to the bank. Pre-payment is allowed. The client may repay the entire outstanding amount in lump sum before expiry of validity period of the loan. If customer repays the loan installments regularly as per schedule of payments of loan then he is allowed to get 5% rebate on the interest charged. Branch may refund the calculated rebate amount at the time of adjustment of the loan. Interested clients will have to apply for the credit in bank’s printed application form, which will be available in respective branch or any other authorized agent on payment of TK.50.00 only. Clients will submit the application form duly filled-in with (1) one photograph and signed along with quotation(s) for purchase of desired articles. The customer’s name/other name(s) including nickname, if any, should be mentioned in every loan application. Branch examines the credibility of the customer. On proper scrutiny of the application, branch will take the initial decision. Customers have to give a quotation of the product from the supplier. This initial decision is to be informed to the applicant within 3(Three) working days from the date of receiving application by branch CCS cell. After this second phase comes. Personal Net-Worth Statement for Businessman/Professionals. Attested photocopies of current Tax Receipt, Electric bill etc. & lease agreement (if any) when the source of income o house rent as a landlord. For proper scrutiny, branch will inspect the given information. This is needed to find out eligibility, feasibility and security. After completion of all necessary formalities, branch shall disburse the loan or decline the proposal within 7(Seven) working days from receiving the additional papers. Customers have to give a quotation of the product to the branch. 20% have to be borne by the customer and 80% is given as loan under CCS. Price of the items (Down payment + Loan amount) should be given to the respective supplier through payment order after completion of necessary documentation. Before disbursement of loan, the customer will deposit crossed cheque covering the total number of monthly installments in favor of the bank which will have to be presented for collection on the due dates. For security purpose customers have to give some personal guarantee/Bank guarantee/ Insurance guarantee. Personal Guarantee 01 For Employees of Govt. Semi-Govt. & Corporate Organization. 02 For Businessman and Employees of Non Corporate Private Organization. Financial Instruments 50% Personal Guarantee will be waived. Bank Guarantee 100% Personal Guarantee will be waived. Insurance Guarantee 100% Personal Guarantee will be waived. Ownership for Vehicles In the name of the Bank. Corporate Guarantee For Corporate arrangement with Head Office approval. After that the bank/insurance guarantee should be authenticated to the satisfaction of the Branch Manager and financial instruments (FDR, PSP etc.) shall be duly discharged by the holder in favor of the bank. The articles procured under the scheme shall remain hypothecated to the bank as security. To avoid embarrassment where the guarantor is the Head of the institution/office, his particulars shall be verified solely by an officer of the bank. The fact & circumstances should be recorded in the file. Guarantor’s photograph will be obtained from each guarantor. If the guarantor is a senior government official/company executive, the condition for collection of photographs from such official/executive be relaxed and reasons therefore should be noted in file. At the time of disbursement of loan, customer will have to execute some documents. To strengthen the monitoring drive as well as supervision for recovery of Bank’s dues and thereby strengthen the Credit Portfolio. Central CCS unit will perform many duties. To identify the potential customers, and to focus the features of the scheme to create demand for purchasing household durable availing loan under the scheme. After receiving loan applications the central CCS unit shall make preliminarily scrutiny. There will be 3(Three) teams consisting of 2(Two) officers in each team who will perform the above mentioned activities on rotational basis. They will keep record of their daily activities/performance in a separate register. Officers have to identify the potential customer for consumer credit. For this and to focus the features of the scheme, to create demand for purchasing household durable availing loan under the scheme. The respective officers of the unit will go to different Offices, Schools, Colleges, Universities(Government & Private), Insurance Companies, Private companies, Private Clinics professionals, well established businessman and pursue the officials/employees of the above institutions/offices/companies, businessman and professionals for availing CCS loan from Prime Bank Limited. They will also work for a possible arrangement with the institutions/ offices/companies to accommodate CCS loans to their employees under the Corporate Guarantee of the concerned institutions/offices/companies. The marketing officers will pursue their solicited customers to submit their loan applications either direct to the central CCS unit or to any other nearest branch of Prime Bank Limited. The branches shall forward the applications so received to the central CCS unit immediately. In the loan application the borrower shall mention the name of the branch of the Prime Bank Limited through whom they want to took the loan. Loan will be given from that branch and officers of that branch will process the loan. After receiving loan applications the central CCS unit shall make preliminarily scrutiny. If found feasible and bankable, the customer shall be advised for submission of further necessary papers/ information, if any. If found not feasible, they shall decline the proposal at that stage and politely advise the applicant accordingly .The customer should be advised at one time for required papers/information instead of piecemeal advice creating dissatisfaction of the customer. They shall arrange for necessary inception, spot verification of the applicants/Guarantors addresses/offices immediately. A Committee shall be formed in the CCS unit consisting of Head of the Unit(Chairman) and other six officers(Members). The respective loans will be disbursed through the branch mentioned by the customer. The central CCS unit complete documentation and obtain post dated cheques before issuing sanction advice to the branches. They shall maintain a sanctioning and declining register in the computer. They shall keep the document and post dated cheques in the safe under joint custody making entry in the safe-in and safe-out register. The delegation of business power for sanction/approval of CCS loan by the Credit Committee and the CCS Committee is fixed. The limit is different for different things. To decide whether approved or declined a meeting is held. There will be a regular meeting in every working day presided by the head of CCS unit. After detailed discussion based on the papers and inspection report the committee will sanction or decline CCS loan as per delegated authority and refer to Head Office Credit Committee for approval /decision beyond the delegated authority of the CCS Committee. The head of CCS unit will attend the Credit Committee Meetings along with the proposals and specific recommendations for approval of loan cases beyond the delegated authority of the unit. The Credit Committee will approve or decline the proposals based on the merit. After deciding whether accepted or declined it is informed to the applicant with in very short time. If approved then documentation is prepared. The credit under the scheme is fully supervised and the success of the scheme will depend on proper and persistent supervision, follow up, persuasion and monitoring of the credits by the branches. CCS unit shall monitor and supervise the CCS loan portfolio of all the branches. Branches shall maintain proper records of the applicants received, loans sanctioned, disbursed and recovery made thereon. Branches shall send the statements of CCS loan and the overdue list to the CCS Unit within the first week of every month. The CCS unit shall properly utilize the MIS(Management Information System) available in the existing computer program for Consumer Credit Scheme of the bank to closely monitor and supervise the scheme. Before disbursement of loan, the customer will deposit crossed cheque covering the total number of monthly installments in favor of the bank which will have to be presented for collection on the due dates. Installments will be paid within 7th day of each month. If one installment is not paid then it has become overdue. Actions are taken on the basis of default installment. In spite of all these steps if installment is not given then case is sued against the client. In case of installment due for six months the loan is treated as classified loan. Prime Bank Limited is one of the leading banks who are offering Consumers Credit Scheme (CCS) for the people. It started Consumers Credit Scheme (CCS) since its inception in the year 1995. Under Consumers Credit Scheme (CCS) people can take loan from banks and can buy their necessary goods. For limited income group Consumers Credit Scheme (CCS) is very helpful. Under this scheme people can take loan to buy household goods. By installment basis they can repay the loan. As total loan amount is repaid on installment basis it puts less pressure on consumer. After disbursement of loans, CCS unit shall diarise the date of payment of monthly installment. Before 10 days of due date of installment, they shall give reminder to the customers. If any customer fails to deposit on due date 2nd reminder shall be given. After 7 days 3rd reminder shall be given. If installment is not deposited , CCS unit shall arrange for visit the customer personally. The unit shall sanction loan very judiciously and shall maintain very effective & strong follow-up and persuasion to ensure that no new loan sanctioned by them is defaulted. The unit shall also take necessary step to recover the stuck-up old loans of different branches. The chronic defaulter loans classified Bad and Loss shall be referred to Recovery Agent for recovery. They shall ensure 100% recovery of new loans. Old classified loans should also be recovered so that the portfolio under old loan is fully liquidated within 2009. We dream a lot of dreams those we can’t fulfill easily. Dhaka Bank Ltd (DBL) provides its customers Consumer Credit under the scheme of Any Purpose Loan to make its customers dreams come true. DBL maintain single Consumer Credit Scheme. Family income exceeds the minimum amount fixed by Dhaka Bank. Permanent employee of an established company with confirmed 1 year service ahead. Self-employed person with at least 3 years professional association. Business person with experience of 3 years business administration and adequate cash flow. The loan limit under Any Purpose scheme is from Tk. 25,000 to 5,00,000. The customer has to pay 1% processing fee of the total loan amount at the time of taking the loan. Except this, when applying for the loan, the customer has to pay Tk. 500 as application fee, which is non refundable. Payment is made directly by the Bank to the vendor or to the customer, as determined by the Bank, depending upon the purpose of the loan. The repayment method is installment basis. The customer has to pay equal monthly installment within the loan period. The customer can also choose his repayment duration (12, 24, 36 or 48 month’s installment) at his convenience. Consumers Credit Products of BRAC BANK LTD.
BRAC Bank Ltd.(BBL) provides 7 (seven) types of unsecured personal loans under CCS. Any person who has the monthly income 10,000 to 40,000 Taka. Business person with experience of 2 years business administration and adequate cash flow. The loan limit under Any Purpose scheme is from Tk. 20,0000 to 10,00,000. The repayment method is installment basis. The customer has to pay equal monthly installment within the loan period. The customer can also choose his repayment duration (12, 24, 36 or 48, 60 months installment) at his convenience. First Security Bank Ltd. grants only short term advances under its Consumer Credit Scheme. The bases of types of CCS of this bank are the various Nature of Financing rather than the purpose of providing the loan. FDR: Eligibility of Customer: Any person having a Fixed Deposit with FSBL is eligible to take the loan. Loan Limit: Loan limit is 10% to 25% on the FDR value. Rate of Interest: 3% above than the FDR rate. Loan Period: Loan is sanctioned for maximum 1 (One) year. Repayment Method: Lump Sum cash deposit within the validity. under this scheme of FSBL the customer has to make down payment and the rest of the purchase price are spread over the loan period. The article is regarded as the property until the final payment has been made. Eligibility of Customer: Any person having a fixed source of income or desires to pay the loan amount in lump sum is eligible to take this loan. Loan Period: Loan is sanctioned for 6 (Six) months to 2 (Two) years. FSBL provides this credit to finance purchase of consumer durable to the fixed income group to raise their standard of living. Government, Semi- Government, & Autonomous bodies. Banks, Insurance, & other Financial Institutions. Self-employed person with at least 2 years professional association. The amount of credit is determined in such a way that the monthly installment does not exceed 50% of the disposable income of the customer, with an maximum limit of Tk. 10 lac. The customer can repay the loan amount by equal monthly installments over the loan period. For hire purchase the durable is covered by first party comprehensive insurance policy throughout loan period and the premium for the policy of each year is to born by the client. Retailed facility report containing marketing, financial, technical, socio-economic aspects showing detailed break-up of project cost and other usual financial analysis duly supported by its assumption. Although SCB is a foreign bank, operating in our country as a local bank. For its local operation the bank is competing with the private sector banks of our country. SCB provides CCS to its customer under the head of “ Personal Loan” and with the sologan of “ We Believe in Living Our Dreams”. Person who is working in any Multinational Companies. Based on the purpose of the loan and the client’s requirement loan limit varies from Tk. 25,000 to 5 lac. For any purpose loan payment is made directly by the bank to the vendor, as determined by the bank, depending upon the purpose of the loan. For rest of the schemes the loan amount is deposited to the customer’s account with the bank. The client withdraw the amount according to his need. Prepayment penalty of 3% is charged on outstanding amount. For delayed payment a penal interest @ 24% is charged. The bank reverses the right to withdraw the facility and demand repayment if there has been any default in repayment of the loan. Interest rate is floating and can be revised at the bank’s sole discretion. The loan must be utilize for the specific purpose for which it has been sanctioned. The eligibility of the customers are common for similar schemes of different banks. Disbursement mode of the loan amount is through issuance of Payment Order to the vendor (when the loan is sanctioned to purchase consumer goods) or through depositing the loan amount to the client’s account with the bank (when the loan is to be used for some other purpose or to purchase service). Repayment method is either lump sum cash deposit or installment basis. The customer can repay the loan amount by Lump sum cash deposit within the validity or by equal monthly installments over the loan period. Some of the documents, that are to be obtained by the banks to sanction the loan, are common for all of them. Some other documents are not required for all schemes but are common for similar schemes of almost all the observed banks. Though some of the schemes of BRAC Bank don’t require any security but rest of its schemes and all the CCSs of other banks require same types of securities from the clients. Though there is marketing department in PBL, but the activities of that particular department can’t be able to take any significant role in the bank’s operation of CCS. The bank is concentrating on serving the clients for CCS rather than undertaking any promotional activity to create new clients. As a lot of private banks are operating in Bangladesh and most of them are providing CCS to people, the power of supplier is moderate to high. Clients want a low interest rate on their loan amount. PBL has more long term deposit than short term deposit, and due to competitive market PBL has to incur higher cost on their deposits. As consumer credit is sanctioned against short term deposits, the bank has to charge comparatively high interest rate than some of its rivals. 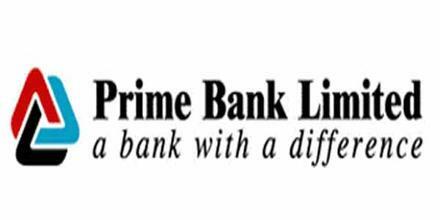 Prime Bank Ltd. has only 51 branches. It is a fewer in number considering those of many other private banks. There are some very important places in Bangladesh where PBL doesn’t have their branch. Few branch means limited geographic coverage, which ultimately means limited number of clients taking CCS of the bank. The more branches PBL has the more customers it can serve through CCS, the more income it can generate. The number of employees at PBL is significantly low. At Banani Branch of PBL only 30 employees are providing the whole banking service where only 3 persons serve the CCS. There is only one Assistant Vice president at Credit Division who is providing and managing the entire CCS. He is over loaded with his responsibilities and so not being able to provide service to the customer in efficient manner. PBL don’t have any effective training policy. Though it has a training institute but they are not using this institution properly. Consumer Credit Policy and rules are critical enough to understand. Even so, the officers of the bank are not being properly trained in this sector of Banking. The loan limit both upper and lower under CCS of PBL not enough standard and flexible to the client’s. Upper limit is only 5 lac (except car loan), where FSBL provides 10 lac as loan under CCS. The minimum loan amount also doesn’t provide any competitive advance to the bank. The client’s are bound to submit a lot of documents to the bank to avail Consumer Credit under any of the 11 CCS of PBL. The Bank is overloading the clients by charging so much documents and papers which seems to the clients being harassed by the relevant officer. PBL can pursue to Government high officials and can make a better relationship with them to get government fund in order to keep cost of fund low. Moreover, the Bank should attract more short-term deposits from the depositors against which it can provide CCS to the clients at a lower interest rate. PBL can open some more branches in strategically important place and by doing that they can achieve more geographical coverage and enhance their business volume under CCS. PBL has 5 (five) Islamic Banking Branch (IBB). All of these 5 branches are doing very good business and have public acceptability. Consumer Credit Schemes involve Interest that the clients are to pay to the Bank. As Bangladesh is an Islamic country and Islamic Banking is a popular concept PBL can go for more Islamic Banking Branches through which it can operate its CCS activities with less doubt in the mind of people. The Bank should diversify its loan portfolio and client portfolio. PBL should launch new schemes under CCS that will be affordable for lower income group of the society. Moreover the Bank should launch special schemes under CCS for teachers and for Health & Treatment Facility of people. PBL should take some marketing officer and an Executive in marketing Division who has some experience regarding marketing of Consumer Credit Products. PBL also should go for some promotional activities through its Public Relation Department and use advertising and field level personal selling for its CCS products. Interest under CCS should be half yearly compound. Upper loan limit of CCS should be fixed at Tk. 10 lac. Lower loan limit of CCS should be fixed at Tk. 10,000. Consumer Credit is a type of loan provided by banks to its customers. Where Credit is an important input in the production process of a country as well as in the income generation activities of an individual, Consumer Credit improves the standard of living of individuals. The demand for Consumer Credit in a developing country like Bangladesh is much higher than its supply. The word ‘Credit’ comes from the Latin word “CREDO” meaning ‘I believe’. Consumer Credit is lender’s (i.e. the Bank’s) trust in a person’s ability to repay the loan amount, which the client takes to purchase consumer goods / services, at some specified time in the future. Credit is power. For a Bank, Consumer Credit is a significant source of profit and on the other hand, wrong use of Consumer Credit would bring a disaster not only for the Bank but also for the economy as a whole. Wright or wrong judgment while extending Consumer Credit under any Scheme means success or failure of a Bank. All the Private Banks those I’ve observed provide CCS to their clients within the policy guidelines of the respective Banks and the Bangladesh Bank. Prime Bank Ltd. is the pioneer of and a leading Bank in Consumer Credit Scheme in Bangladesh. The CCS of the Bank aims to help the fixed income group in raising standard of living and has been widely appreciated. The rate of recovery under the Scheme is 94%. The main purpose of this report is to study the CCS of PBL and some other Private Sector Banks and to make a comparison between CCS of PBL and those of other Banks. Considering all the Consumer Credit operations of the 5 banks, performance of PBL appears to be encouraging. Compared to other Banks, PBL will definitely show much better performance in the near future. But it requires amendment of some terms of CCS of the Bank such as documentation, client portfolio, interest rate, quality of service etc.